Blondie Bird and Friends mas band can now chant âFour in a Row,â after winning last Saturdayâs Junior Band of the Year competition. Victoria Park saw the Mas bandâs presentation âIt Is What It Isâ top five of the seven judged categories with their two sections âWarmthâ and âParadiseâ. The band, which is sponsored by BMC Agencies and Magic 103.7 FM and led by Elroy âBlondie Birdâ Boyd, also walked away with the first and fourth positions in the individuals 5-9 category. âMysteryâ won the band first place in the individuals 10-15 category, beating out SVG Players International Mas Band âStar Gate – ISIS Goddess of Magicâ, which landed second place. 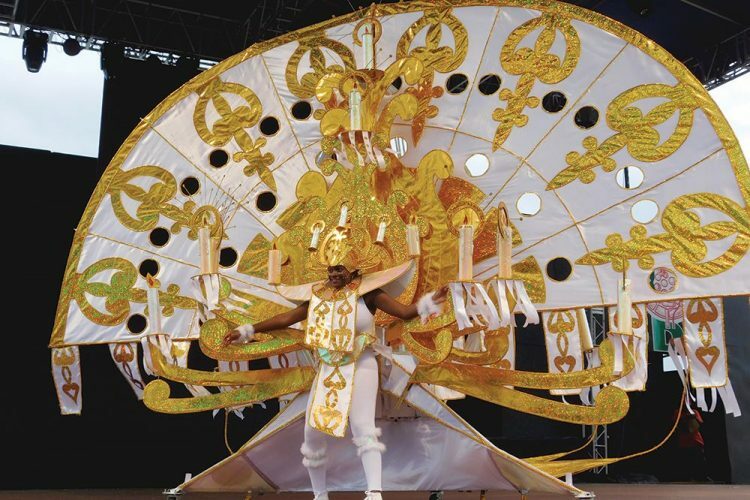 Their rendition of âWarmthâ copped the win in the Junior Queen of Carnival category, while SVG Players Internationalâs âStar Gate – ISIS Goddess of Magicâ placed second and Digicel Nelson Blocâs âThe Magicianâ and Lynx Mas Bandâs âSpartansâ settled with third and fourth place respectively. However, SVG Players International Mas Band âElectro Magnet Pulseâ stole the win in the Junior King of Carnival category, knocking Blondie Bird and Friendâs âSomewhere out thereâ into the second position. Metrocint High Voltage Mas Productionâs âLabourâ and Digicel Nelson Blocâs âAladdinâ saw third and fourth place respectively. Blondie Bird and Friends, was however, able to turn the tables in the Best Junior Section when âWarmthâ and âParadiseâ secured the first and second position, respectively. Meanwhile, SVG Players International Mas Bandâs âStar Wars – The Empire strikes backâ and âStar Gate – The return of RAâ placed third and fourth in that category. Digicel Nelson Blocâs âCupidâ placed fifth. âIt Is What It Isâ was also able to edge SVG Players Internationalâs âStar Date 2525:The Future is nowâ into second place in the Junior Band of the Year category after losing to them last year. However, âStar Date 2525: The future is nowâ was able to bring back the win for SVG Players International in the Uptown Competition.